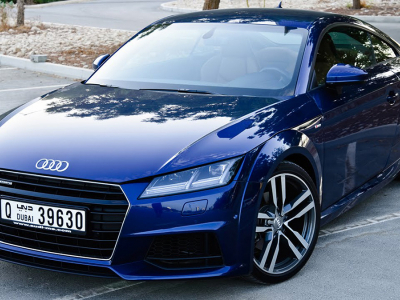 It opens the rating of cars with which the owners do not hurry to leave, it is Audi TT. On average, those who bought this new car, parted with it only after 8.8 years. it is a sports model, the design of which is very slowly becoming obsolete. Therefore, many owners prefer to ride this model a little longer. "lives" with the first owners so long. can get 41% of the original cost, which is quite a lot by world standards. Therefore, there is nothing strange in the fact that this sedan remains in the garage of buyers for more than 8 years. distant future, any Corvette generally turns into a very cool legend. Another offroadster that is bought for large families and long runs is Toyota Sequoia. On average, the owners of this car sell it only 8.9 years after the purchase. of breakages detected within the first 90 days. And in the rating of the residual value of Kelley Blue Book this off-road vehicle took the third place in the corresponding category. For example, in five years, Toyota Sequoia can be sold for 40% of the original cost. Is it any wonder that many owners are exploiting the car to the last? But Ford Explorer did not show any especial achievements relating reliability, nor high residual value. Nevertheless, on average, after buying the car is used for 8.9 years. car that has such a good combination of price / quality. For example, prices for Ford Explorer in the US start at USD 31,660 mark. The only representative of the brand Mercedes-Benz in the rating of new cars with the most "loyal" owners was the roadster SLK, replaced the name with SLC in 2016.
than others. Secondly, the car has excellent dynamic characteristics. Finally and thirdly, Mercedes-Benz SLK / SLC - a car with a convertible top, which after 9 years will still look great on the road. which resonates with many US residents. The sport Porsche Boxster received "silver" award in the rating of cars, with the longest tenure after purchase. On average, this car is sold only 9.9 years after the acquisition. Of course, we are talking about new machines, but these data are indicative. Given that the parameter of "loyalty" of Porsche owners is much higher than many popular models. Why on the second place was Boxster, instead of 911? Most likely, a factor combination played a great role. Firstly, this model is one of the most accostable in the Porsche series. a high residual value, so there is simply no reason to get rid of them quickly. Well, the winner of the rating of cars with the most loyal first owners is Toyota Land Cruiser. This offroadster is loved both in the US and in Europe, and it is absolutely clear why. G-class over the years. Therefore it is not surprising that people who bought a new Land Cruiser, sell it on average 10.6 years after the acquisition.